Wherever possible any education, training or publicity (ETP) measures should be evaluated in order to see if the desired outcomes have been achieved. The difficulty of evaluating ETP interventions was frequently raised in ‘Road Safety Health Checks’ carried out by DfT with a number of local authorities across the country in 2009. 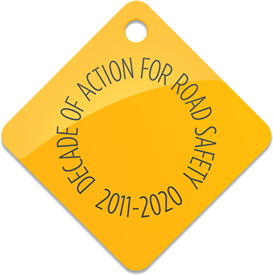 The need to increase and improve the evaluation of road safety ETP initiatives has since gained even more focus. However, in light of diminishing resources, it is increasingly important to understand identify the most effective initiatives at communicating crucial road safety message to the right people. DfT, RoSPA and local authority representatives have produced the E-valu-it toolkit. Campaign promoters are asked a series of questions about their intervention, its aims and objectives. E-valu-it will then provide recommendations for carrying out an evaluation of the intervention, accompanied by a template for data collection, which, once completed, forms a final evaluation report. Users have the option to publish their report on the website and to share their experiences and findings with national and international colleagues. The main target audience for ‘E-valu-it’ is local road safety professionals, including those from local authorities, emergency services and charities. However, anyone is free to use E-valu-it. In fact, employers may find it useful to evaluate and improve their own at-work road safety initiatives.